If you have a website then you already know the importance of web traffic. It is the lifeblood of your online marketing. Visitors are as important to online marketing as location is to real estate. Without visitors your internet marketing won’t be able to help your bottom line. The steps below will take resources to set up, but dollar for dollar a well executed content and email plan can match any other marketing medium for return on investment. Use a sign-up form to ask your visitors to subscribe to your content. Provide a benefit for doing so e.g. “Sign up to our mailing list to be first in line for special offers and freebies”. Email is an incredibly affordable medium so use it to drive people back to your site. Create a welcome email to all the new list subscribers. Mailchimp, Constant Contact and iContact have guides that let even the non-technical achieve this. Thank visitors for signing up, then give them something that makes them feel valued and special. Making a good impression here is setting your brand up for success. In the welcome email encourage people to connect on social as well. Saying “Like us on Facebook” is ok. Saying “Like us on Facebook so you always get first dibs on specials” is better. Test different offers in the welcome email and work out what gets from the inbox to your cash register. Use analytic data on your website and see where your traffic comes from and where it goes on your site. Make sure you have sign-up forms and offers on the most visited pages. Successes can be recorded and used for planning future campaigns. What are your frequently asked customer questions? Create a destination that answers your customers key questions. Don’t promote your products directly but invite your visitors to explore your solutions via case studies and testimonials. If your content is great and customer centric your conversions will be too. Whoa – why aren’t we trying hard to sell products and services?? Because we are getting aspirational and solving the issues and problems people have with a story. People love stories, more than they do products. Do you want the plumber who has seals guaranteed for 20 years, or the Plumber who saved Susan $30 every month on her water bill? Let your email list know about your new content and engage them. Ask them for their opinion and input. So that is an overview of what we do. What does your traffic generation plan look like? Let us know in the comments. Email marketing is one of the best tools any marketer can use to improve the bottom line, strengthen your brand, test product or service ideas… the list is extensive. It sounds simple enough but in reality takes a lot of work to master. It isn’t just about blasting all your contacts with your latest specials. If you don’t get it right you could be seen as annoying. Here are some key points to help you get more out of your email marketing. Stage 1. Get your email opened. From name and from email. Avoid using Customer Service, Admin, Info, Support, in the name label or in the email address itself. Firstly these labels don’t inspire excitement and the goal is to get the email opened. Secondly it is a signal to gmail to take your email out of the primary tab and put it into the promotions tab. I know which one I would open and I’m not even called Steve. Stage 2. Engage email marketing success! Images – Instagram, Flickr, Pinterest, Youtube, Facebook. They have helped to shape our expectations for visually stunning images. Unleash your branding! Use images to compliment your copy, make sure they have alt tags so in instances where images are not displayed you still have a message presented by your email program. Content – Once you’ve convinced your readers to open your email, you need to keep them coming back for more with great content. Try to focus on a single message. Try not to have “buy, buy, buy!” be the focus of every email you send or you will lose your readers. Teach, inform, update and encourage dialogue. Call-to-action – Define a purpose for your email. Create Call-to-Actions that encourage your email list to fulfill this purpose with a click, call, download, view or even reply. Use buttons that stand out. 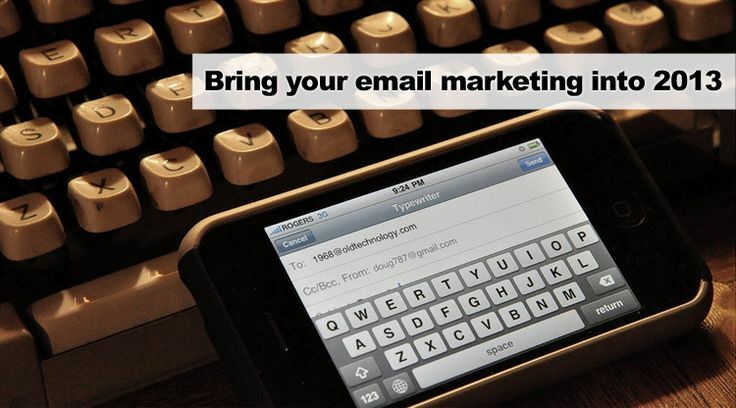 There you have it, a brief look at how you can get more out of your email marketing. If you are using email marketing what challenges and successes are you having?